Ann practices in the areas of workers’ compensation and public employee retirement law. 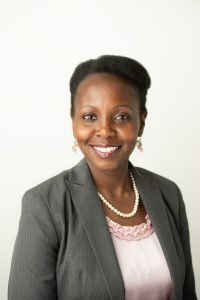 She is a graduate of the University of California, Hastings College of the Law with a concentration in Civil Litigation and Dispute Resolution. She earned a dual undergraduate degree in Legal Studies and Psychology with a minor in Rhetoric from the University of California at Berkeley. While in law school, Ann clerked for United States District Judge Jeffrey S. White in the Northern District of California. Ann also served as a law clerk at the Equal Employment Opportunity Commission, the Legal Aid Society Employment Law Center’s disability rights program and LAS-ELC’s workers’ rights clinic. She also won CALI awards as the Top Student in her Trial Advocacy I class and Legal Externship Program. Prior to joining Jones Clifford, Ann was as a Ralph S. Abascal fellow, then a staff attorney at Legal Aid of Marin, primarily providing workers’ rights advocacy to underserved and vulnerable Marin County residents. She prosecuted wage theft, discrimination, harassment and wrongful termination claims in Federal and State Court. Additionally, she prosecuted wage claims at the Department of Labor Standards Enforcement. Ann also provided community workshops and legal clinics to educate individuals on their employment rights. For her work with Legal Aid of Marin as a workers’ and tenants’ rights advocate, she was one of two finalists nominated for the 2017 Marin Trial Lawyer President’s Award at the Annual Judges Dinner.